The Black Eye galaxy is a spiral galaxy in the constellation of Coma Berenices. The Black Eye galaxy is also known as Messier 64 or NGC 4826. 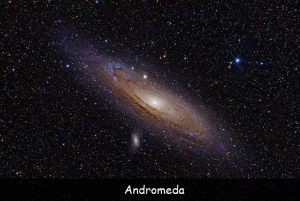 The galaxy was discovered in 1779 and verified again in 1780 by astronomer Charles Messier, hence the name Messier 64. Or M64. 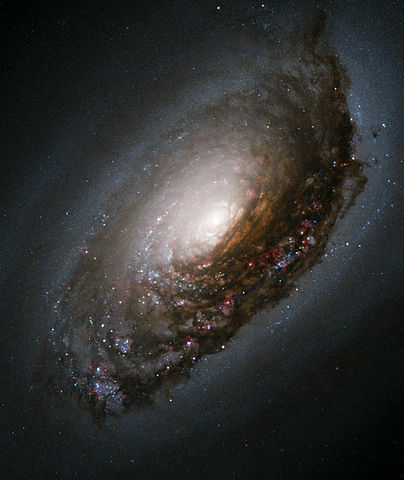 It’s more commonly known though as the Black Eye galaxy because the dark band of dust at the front bottom of the galaxy. The Black Eye galaxy is quite a small galaxy with a population of 100 billion stars, compared the likes of the Pinwheel galaxy that has 10 times the stars with over 1 trillion in total. Size: Diameter of over 54,000 light years. Distance from Earth: 17 million light years. # 1. The Black Eye galaxy was discovered in 1779. # 2. The Black Eye galaxy has a visual brightness magnitude of 8.5. # 3. The Black Eye galaxy is a spiral galaxy. Q. In what year was the Black Eye galaxy discovered? Q. 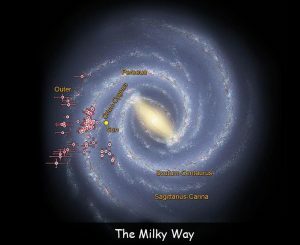 What size is the Black Eye galaxy? Q. 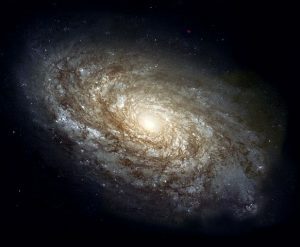 What type of galaxy is the Black Eye galaxy? Q. What constellation is the Black Eye galaxy in? Q. How many stars are in the Black Eye galaxy? 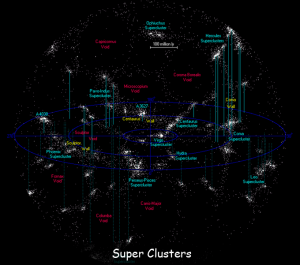 Key Vocabulary Galaxy. Constellation. Spiral. Light Years.